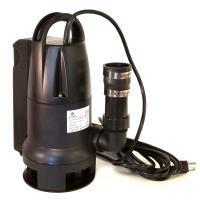 1/2 HP 4-in-1 Sump Pump$44.95Includes check valve and rubber boot with hose clamps. Raised platform base for use in sandy/graveled crocks. Ideal for dirty water installation. 3/4 HP 4-in-1 Sump Pump $48.95Includes check valve and rubber boot with hose clamps. Raised platform base for use in sandy/graveled crocks. Ideal for dirty water installation. 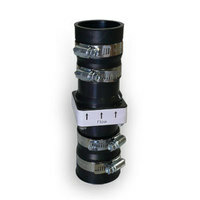 This 24ft universal fit sump pump hose kit includes 1-1/4″ and 1-1/2″ NPT barbed adapters, hose clamp and a 24ft x 1-1/4in flexible drain tube. Ready to install for permanent or emergency use. Easy installation directions included.